More and more companies understand that the workplace needn’t be sterile or devoid of happiness. Indeed, nap rooms, ping-pong tables and chair massages, are becoming very common in offices all over Australia. One of the most popular perks that a company can offer is allowing their employees to bring their dogs to work. Studies have shown that when workers bring their pups to the office, overall productivity increases by 28%. 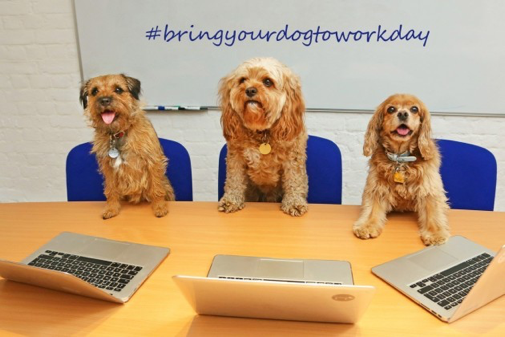 So, when Melbourne’s Detweiler Enterprises, a leading manufacturer of edible adult diapers, decided to offer employees the opportunity to bring their canine comrades into the workplace on Fridays, most employees were thrilled. The news that Furry Fridays would be cancelled disappointed many at Detweiler including those who went out and bought dogs just so they could bring them to work. But other employees were furious. Hamish Macqueen – Managing Director and Founder of Cleancorp. Things have changed over the last few years in the commercial cleaning industry, and chances are, in the past you may have had to suffer through cleaning companies with ongoing quality issues, cleaners not showing up, supplies running out, or inconsistent cleaning because of their high staff turnover. So, do you need a great cleaner who’s reliable? With thousands of happy customers (and counting) we’re the #1 fastest growing commercial cleaning company in Australia. Are you moving office? Get all the tips to do it efficiently! Office Manager sets air con temp to "Arctic"